Your small business deserves the best marketing guidance. If a Chief Marketing Officer isn’t in the budget, Marketing Guru and Creative Director Ellie White-Stevens is available. Unlimited email queries to answer: Where should I market? Is this a good deal? With regular check-ins and wisdom in the process, the panic of last minute marketing can be avoided. Ellie’s passion is to improve the quality of everything you produce, and to make all productions profitable. This retainer-based consulting allows Ellie to go deep in the analysis of what’s hindering your sales. Then we identify three areas of growth at each of the sales cycle tiers: branding, marketing, sales and customer service. From this view of the whole business, we can focus in to execute effective projects. 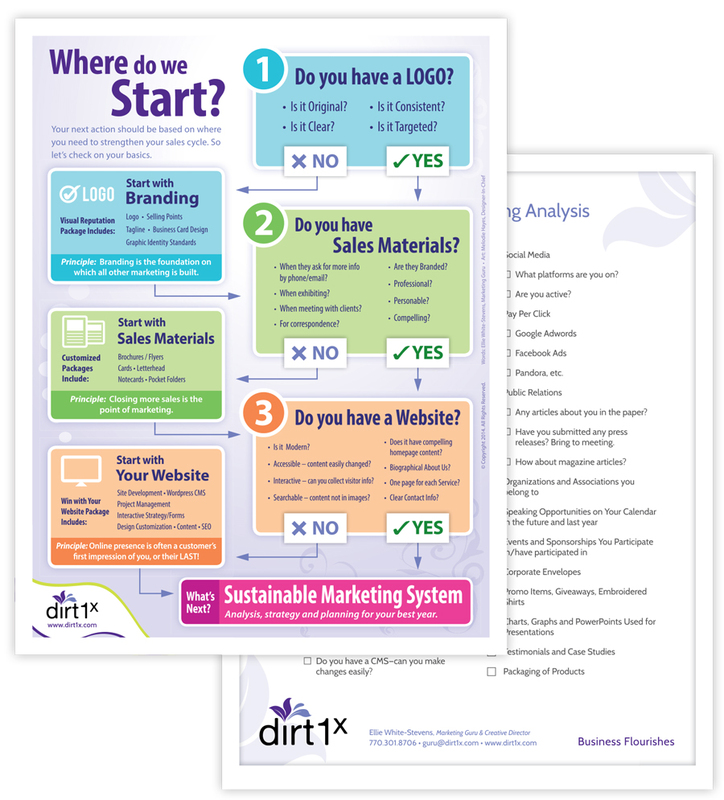 The Sustainable Marketing System allows us to identify what sales materials, website improvements, signage, advertising and even associations to join would be most beneficial. If you need genius ideas that work for your business, and you want to see those ideas to fruition, Ellie White-Stevens is your Marketing Guru. 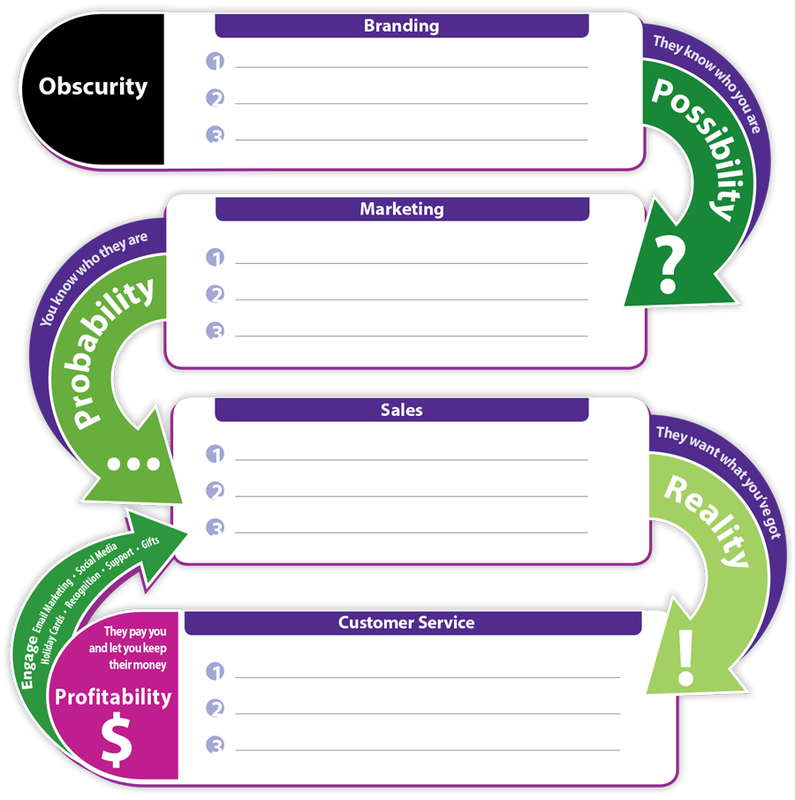 Call 770-301-8706 and ask if the Sustainable Marketing System is a good fit for your business.